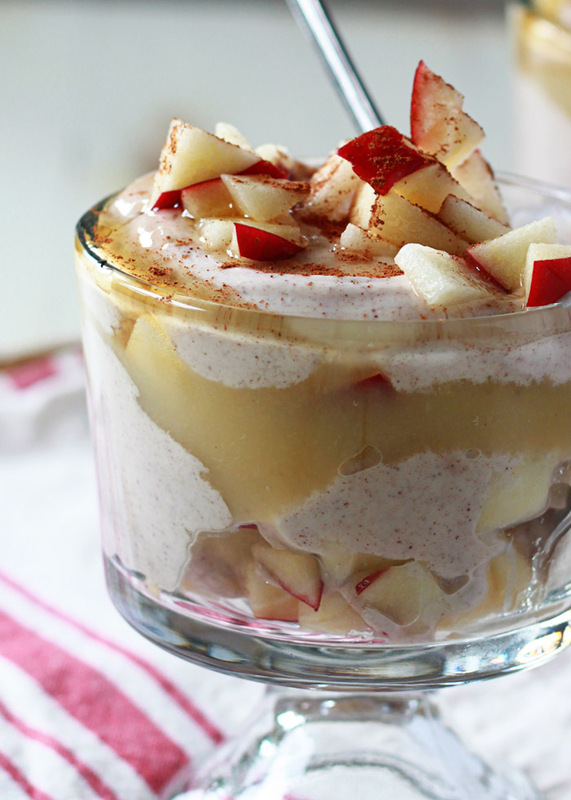 Honey, vanilla, and cinnamon stirred into Greek yogurt and then layered with crisp apples and applesauce. We love this as a fancy fall breakfast, but it passes just as easily for a surprisingly decadent dessert. There are very few foods my guy won’t at least try. Yogurt, however, is almost always a no-go for him. It’s cool. I respect that. This is when he usually is an exceptionally good sport (I love my guy) and he tries a bite. And then pushes it away. 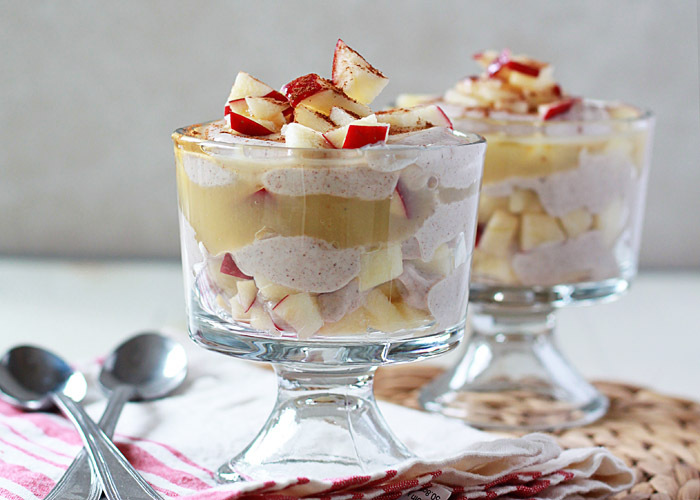 But these Apple Cinnamon Greek Yogurt Breakfast Parfaits? Snarfville! Yep! He scarfed the whole thing down – the spoon was clinking the bottom of the bowl before I knew it. Victory! Now I just need to finally turn him on to tofu. 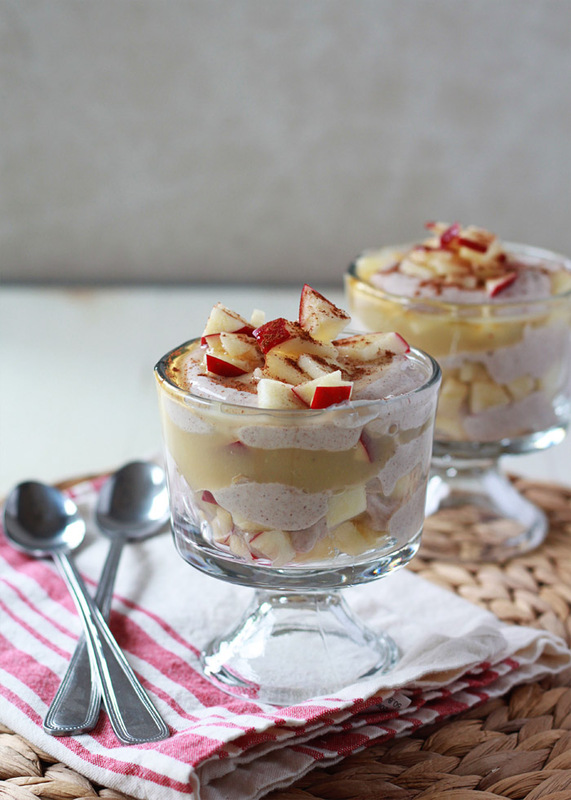 These super-simple parfaits are a cinch to put together, but they feel like something special. 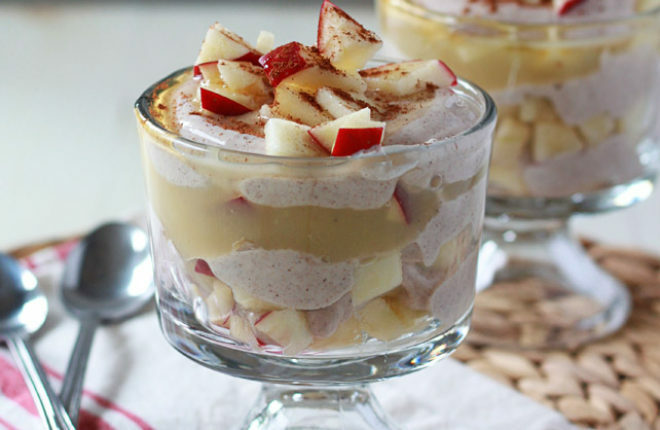 And with honey-sweetened, cinnamon-infused Greek yogurt layered with crisp apples and applesauce, they taste like something special, too. I’m thinking these will be the perfect Thanksgiving morning breakfast. Super easy, special occasion worthy, and satiating without being over-the-top rich. A yogurt parfait for professed yogurt haters. It’s possible; I have proof! Have two sturdy glasses, mason jars, or mini trifle bowls ready. To a medium bowl, add the yogurt, honey, vanilla, and cinnamon. Stir well to combine. Grab 1/4 of the apples and sprinkle them at the bottom of the glasses. Add 1/3 of the yogurt, a few spoonfuls each. Depending on the size of your glass, you may need to spread the layers gently with the back of a spoon to distribute to the edge of the glass. 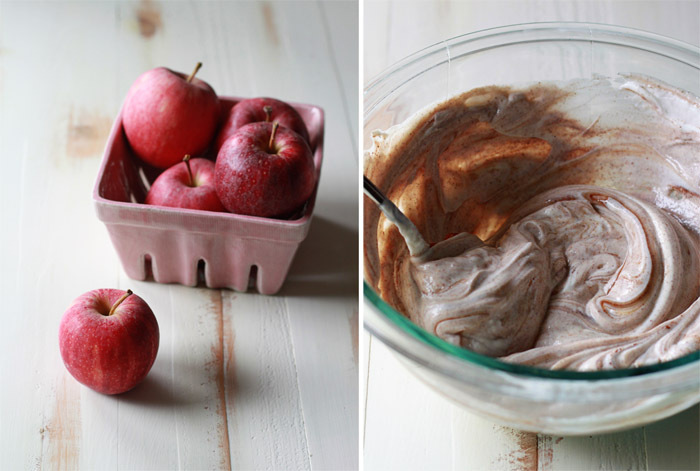 Top with more apples (1/4), then more yogurt (1/3). Add all of the applesauce (2 tablespoons per glass), then more apples (1/4). 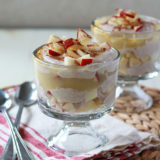 Top with remaining yogurt and sprinkle with remaining apples. Drizzle with a little more honey and sprinkle with cinnamon if desired. Serve. too funny! My husband is just the same way. He’s not a very picky eater but won’t come near anything with yogurt in it. Maybe I’ll convince him to try this! It looks amazing. Yum! This sounds great! I love a good parfait.